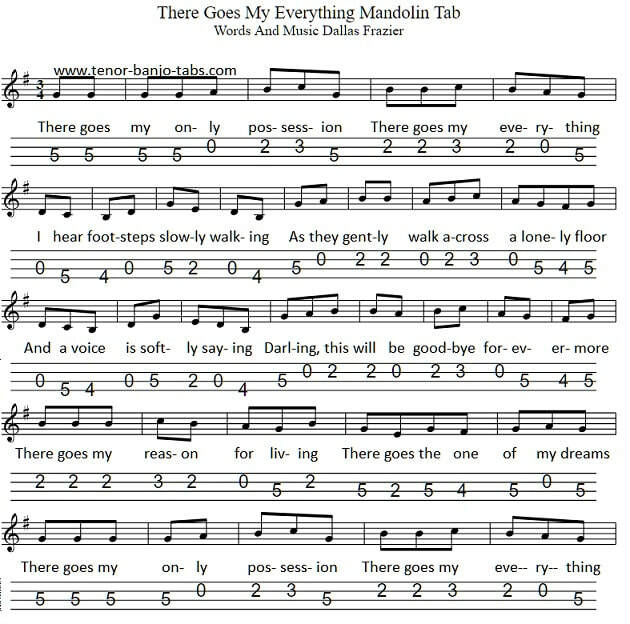 There Goes My Everything Sheet Music And Banjo / Mandolin Tab. Recorded by Elvis and by Engelbert Humperdick. 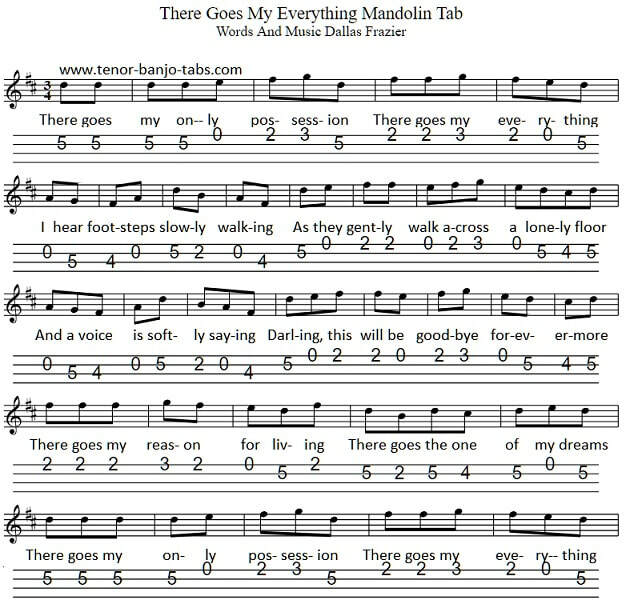 The sheet music is in two different versions, the first is in the key of D and goes slightly higher than the second version in G Major.